Furia Sabinia Tranquillina was the Empress of Rome and wife of Emperor Gordian III. In 241 her father was appointed the head of the Praetorian Guard by the Roman Emperor Gordian III. In May that year, Tranquillina had married Gordian. She became a Roman Empress and received the honorific title of Augusta. 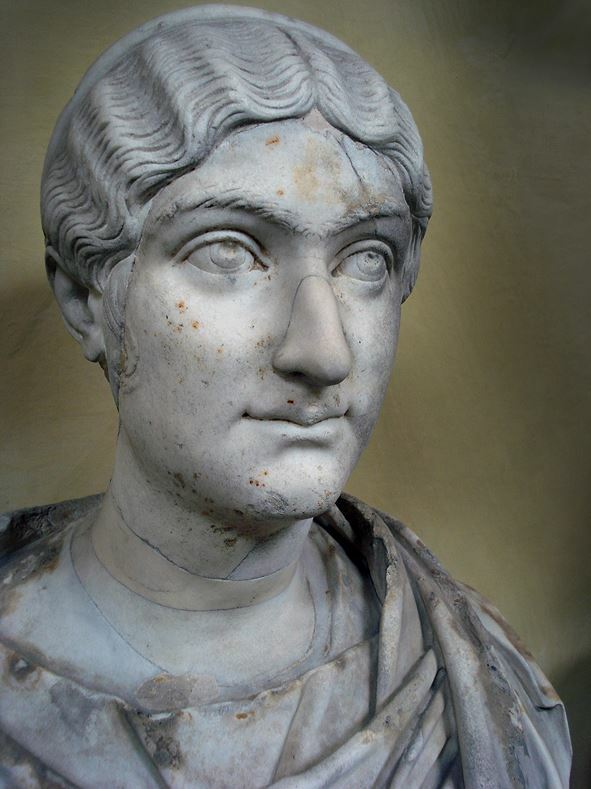 Her marriage to Gordian was an admission by the young emperor of both Timesitheus' political indispensability and Tranquillina’s suitability as an empress. While Greek Imperial - Provincial - coins of Tranquilina are plentiful, Roman Imperial issues are much more scarce. Reverse: OΔHCCЄITΩN: Nemesis standing left, holding wand over wheel, and sceptre.